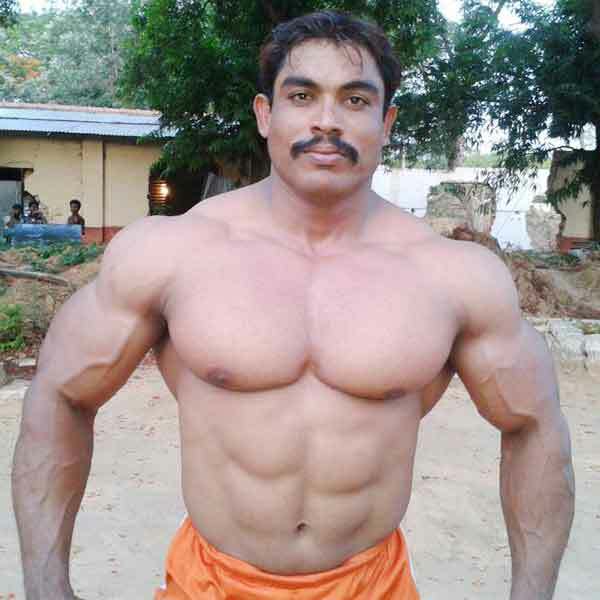 M.Kamaraj is an Indian Actor, Army man and Bodybuilder, who is working in Tamil film industry. He was born in Tuticorin, Tamil Nadu. Kamaraj made his acting debut in the Tamil film “Thairiyam” along with Pragathi Mahavadi, directed by P.Kumaran and produced by RP Creations. He also acted with well-known actresses like Amy Jackson, Kajal Aggarwal, Anushka Shetty, Nithya Menen, Shruti Haasan and Misha Ghoshal. He has appeared in some well-known films such as I, Singam 3 and Mersal. His performances in many films were lauded especially in “I” which was one of the Best films of the year 2015. He worked with some of the top names of that time like Kamaraj in “Mersal” along with Vijay, Samantha, SJ Surya and Sathyaraj. M.Kamaraj as Kasi role in Mersal Movie. M.Kamaraj as Ravi role in I Movie. I, Mersal, Singam 3, Thairiyam.